The Carina Side Chair offers a luxurious modern look to any room of your home. This modern chair conveniently stacks, taking up minimal floor space when not in use. 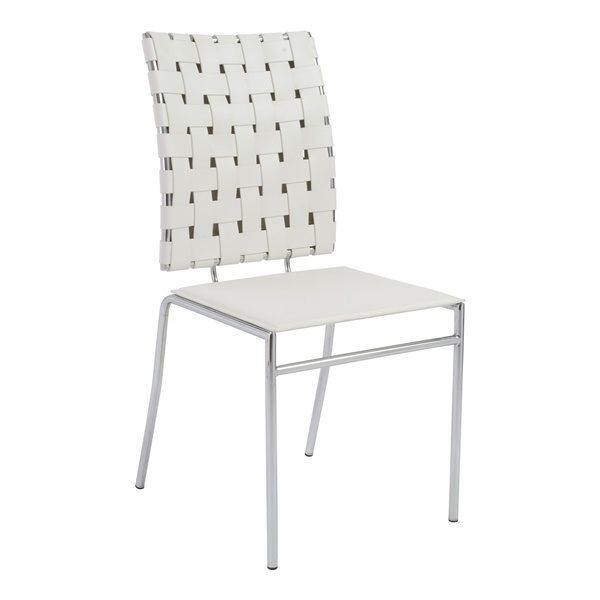 The Carina Side Chair works great around a modern dining table. This versatile chair can be used nearly anywhere though, offering style and comfortable seating wherever it goes.